Mr. Duez's AVID Blog: Congrats Stevie! Our first AVID senior to be accepted to college. 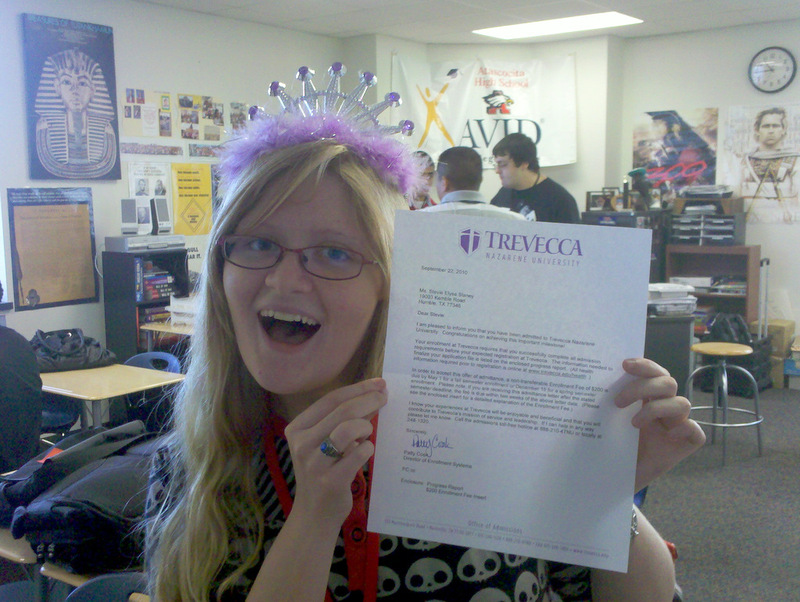 Trevecca Nazarene University is lucky to have you!